For years, Google AdWords has enabled advertisers to get their message out above, below, and – up until now – at the side of desktop search results pages. That’s right, Google has officially dumped the pay-per-click (PPC) ads on the right sidebar that we’ve been so accustomed to. So where are those ads going? Most of them have vanished altogether. But, in some searches, Google is also adding a fourth ad to, what was formerly, the top three spots. This will vary based on search volume and demand. This is alarming to many advertisers, because ad real estate has just been significantly reduced. The early consensus is that, depending on the search, the right rail will either be left blank, feature product listing ads, or show highlighted information gathered from a variety of sources (also known as the Knowledge Graph). This new layout is another step toward optimizing for mobile searches, as there is no right column when a user browses on their smartphone or tablet. “Google’s moving all of their products in a direction that’s oriented to the mobile environment and this is no exception,” states the Perfect Patients SEO team leader, Patty Ptacek. What Does the Shift Mean For Organic Chiropractic Searches? There are a number of opinions as to what this means to not only the advertising world, but to every business operating a website. Even non-advertisers are shaking their heads. After all, what will it do for organic search (results that are not paid for)? Gibbons’ argues that the fourth top ad will push organic search results down further, and therefore, it’s time to aim higher. We agree, “aiming higher” is important. But equally important is to ensure that your website’s search results are appealing and will encourage users to click. This means having a clean, readable title and a compelling description. Serving the Chicago, IL area, Dr. Reed is dedicated to helping you achieve your wellness goals through optimal chiropractic care. What Does the Shift Mean For Paid Chiropractic Searches? 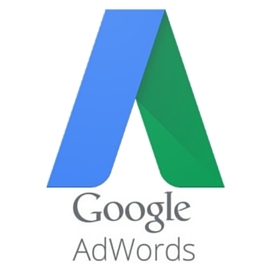 If you use Google AdWords, you’ll inevitably experience some degree of impact. It will likely be more difficult to rank in one of the top ad positions. The cost for ads could increase, as less real estate will potentially drive up prices. Advertisers will be forced to improve their ads to adhere to Google’s quality standards. Less ads will be shown, which could boost traffic opportunities if you rank in one of the top four positions. It will motivate advertisers to optimize their ads to compete for the top four positions. The change will not impact mobile or tablet searches, which comprise over 50% of all searches. While many critics take offense to Google’s latest shakeup, we don’t see it as any reason to panic. It certainly forces change – to both advertisers and users – but it also poses an opportunity to alter strategies that potentially should have been altered before. To keep current on all of the latest trends in online chiropractic marketing, subscribe to our blog. 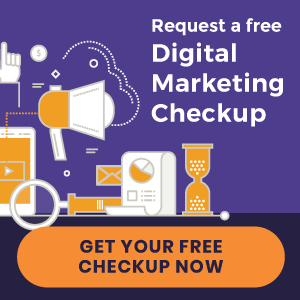 In addition, download our eBook below and discover 10 ways to improve your online presence and get new patients from the Internet. « Recently Launched Chiropractic Websites!